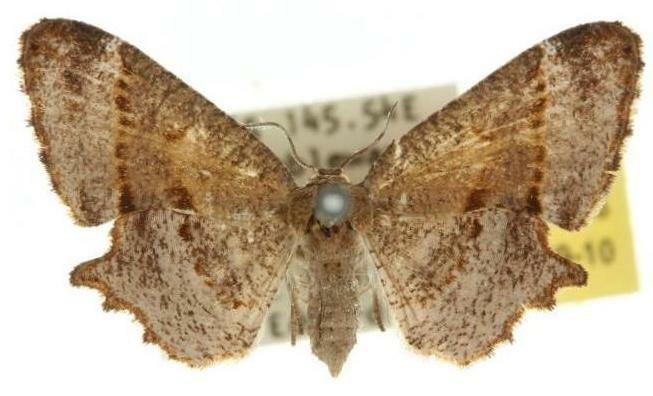 The adult moths of this species have a complex pattern, of shades of brown on each wing. The hindmargin of each forewing is concave. The hindwing margins each have a projection, and in the females : are scalloped. The wingspan is about 2.5 cms. Volume 10 (1911), p. 75.